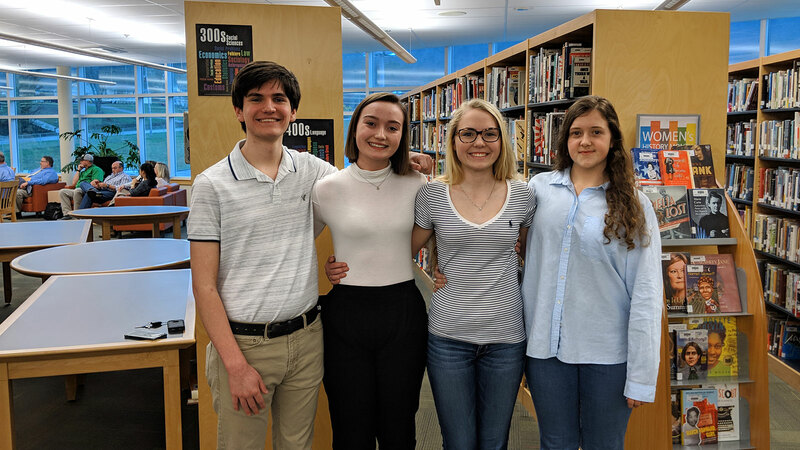 Mufreesboro, TN — On the campus of Middle Tennessee State University on March 2, 2019 the Student Congress on Policies in Education (SCOPE) was held and four Rhea County High School students attended. Elijah Boles, Camryn Carder, Addie Cannon and Ashley Walker were delegates to the event for RCHS. The student delegates were nominated by RCHS faculty and administration. Elijah Boles was selected to be a debater from his group, speaking in front of over three hundred peers as well as elected officials. All fo the RCHS students did a great job helping their debate teams prepare for their arguments. The conference brings together 9th-12th grade students from across the state to discuss current topics in education. Participants will explore education issues through mock school board meetings and group discussions. 2020 SCOPE officers from among the day’s speakers. Upwards of 349 high school students gathered at MTSU to express ttheir views on public education. Students discussed a variety of debate subjects which included high school graduation rate requirements, substituting club sports for physical education, fighting on school grounds and latin system vs selecting a valedictorian and salutatorian for graduation.